"Robcers Retreat" is owned by Robin(codger)and Cerita(her Maj) from Perth. 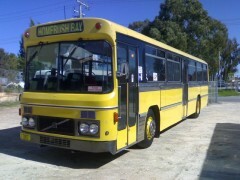 Our bus is a 1985 Volvo B10m which started life as a country school bus in NSW. 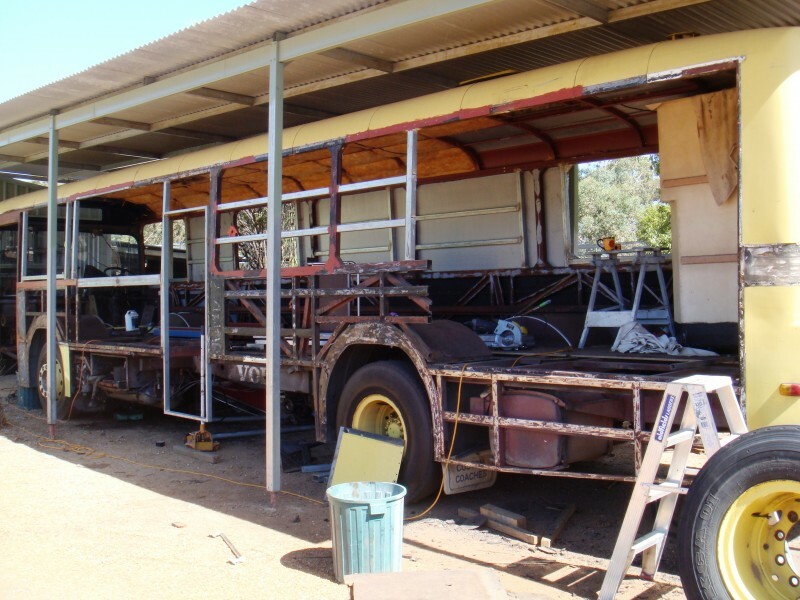 We purchased the bus in 2010 and completed the conversion in Nov 2013. I did all the work myself except the final connections for the 240 volt and gas systems. The bus is powered by a 6 cylinder turbo diesel using a 4 speed Alison automatic. 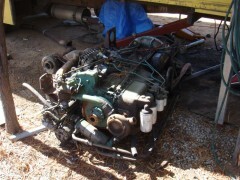 I rebuilt the engine and had the turbo and fuel injection components overhauled. 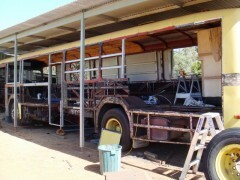 Due to many dents, I re-skinned both sides of the bus with zincalume sheets and fitted Camec caravan windows and door. We have a full size shower and cassette toilet. 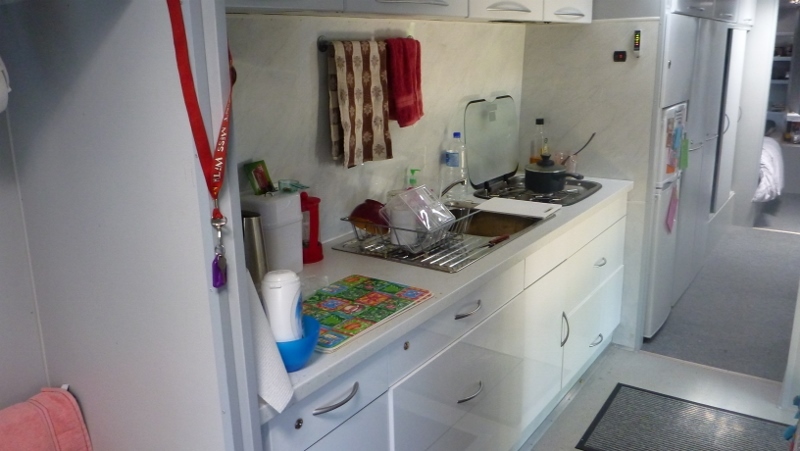 Hot water is provided by a gas water heater mounted in a separate compartment. We decided to fit two single beds instead of a double due to space available. There are two fibreglass water tanks (350ltr) mounted under the beds and a 250ltr grey water tank under the shower. 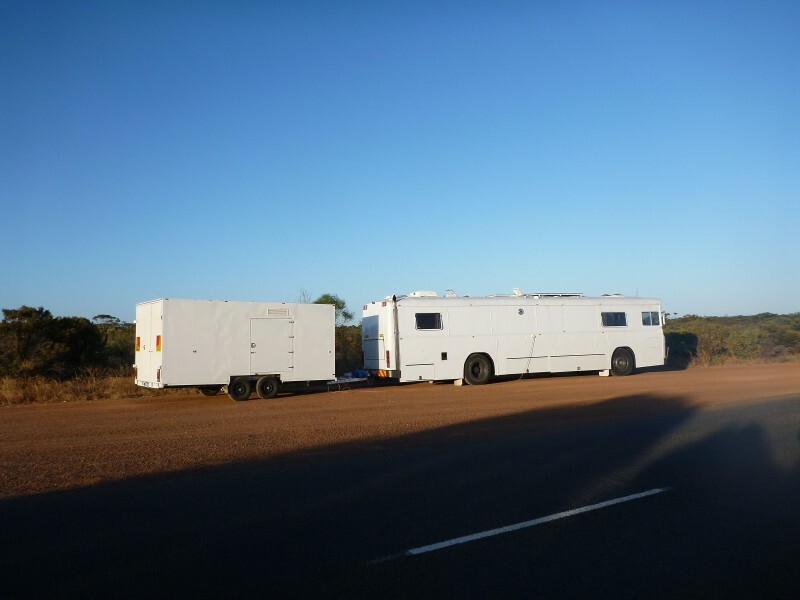 We tow a 6m covered tandem trailer which houses our Rav4. There are 2x 200w, 2x100w and 1x 80w solar panels using a Dingo solar controller. The 12volt system uses 8 130Ah AGM batteries and we have a 300w inverter for charging the laptop etc. The TV is 12volt and all lighting is LED. 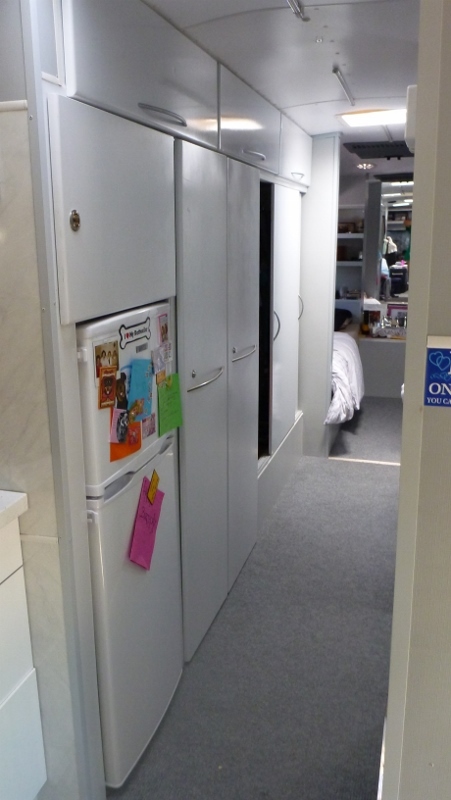 We have a Dometic vertical fridge freezer with computer fans mounted on the side and rear to help the air circulation. I use a solar powered fan to help remove the hot air from the fridge recess. 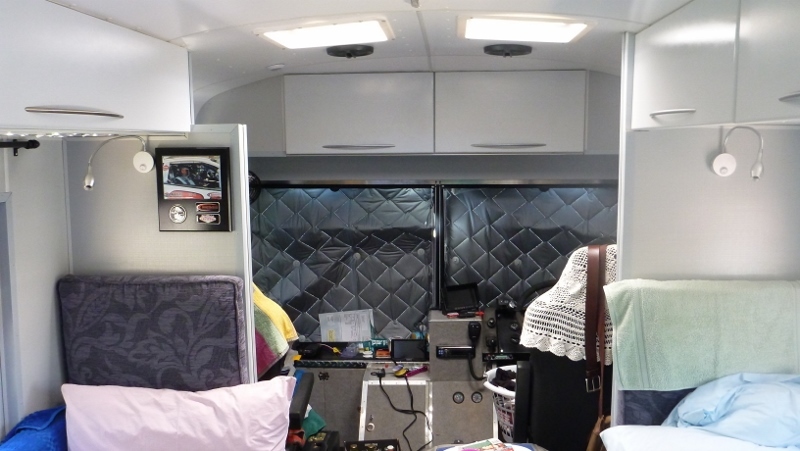 We fitted a roof mounted Rencool 24volt air conditioner above the bedroom which uses 4 130Ah AGM batteries to power it. These batteries are charged via a smart controller from the bus batteries. I also fitted a DC to DC battery charger which is used to charge the "house" batteries when required. I am 61years young and have been married to my wife Cerita (Her Maj) for 24 years. I am a mechanical fitter by trade and can tackle most mechanical tasks having worked in the mining industry for many years. We have sold our house in Perth and now "live on the road" until I turn 65 when we will return to Perth. We both would love to hear from others who are doing the same as us as we really have no idea what or where to see in this great land of ours.